Oh, wow...football. Well, at least we find the food part fun. This Sunday's "big game" is a great opportunity to try out some new things. Try swapping some meat-heavy dishes for vegetable-focused ones to lighten up your spread and give your guests some different options. We love to serve Better Jalapeño Poppers, Smoked Dates Stuffed with Goat Cheese and Pecans, Hoppin' John Bean Butter, Super-Easy Vegetarian Mexican Pizza, BBQ Eggplant Sliders with Caesar Cole Slaw, or our new Mushroom-Stuffed Mushrooms (recipe follows) and Charred Carrot Hot Dogs from our recent Memphis Flyer article, "Dog Bowl: Vegging out at the Super Bowl." Use your food processor to make short work of all of the chopping. Just roughly chop shallot, garlic, mushrooms, celery, and carrots, and process them in batches by pulsing the blade until finely chopped. Heat one tablespoon of the oil in a large 12-inch frying pan over high heat. Add the chopped shallot, garlic, mushrooms, celery, and carrot to the pan. Stir consistently and sauté until all of the liquid has released and then evaporated; this should take about 5 minutes. Add the sage, red pepper flakes, clove, nutmeg, soy sauce, and maple syrup to the pan. Stir to incorporate and remove from heat. Add the uncooked quick-cooking oats and stir the mixture until everything is well incorporated. Add salt and pepper to taste. Cover and set aside in the fridge for at least 15 minutes to allow the moisture to distribute. Preheat your over to 350 degrees. Pull the stem out of each mushroom cap and save for another use. Place mushrooms gill-side-up in a large casserole dish. Drizzle the caps with the remaining olive oil, and season caps with a little salt and pepper. Using your hands mound as much filling into each cap as you can. Gently press it in so that it fills all of the air pockets. Repeat until all filling is used. Cover casserole dish tightly with foil and bake for 30 minutes. Remove the foil, top each with cheddar and bake another 3 minutes or until cheese is melted. Top with sliced green onions and serve. These can be served warm or at room temperature. Here, we've remade our classic cornbread by switching the flour component for more organic, non-GMO cornmeal (available at Whole Foods). Give these a try, and check out how giving up gluten doesn't mean giving up flavor. 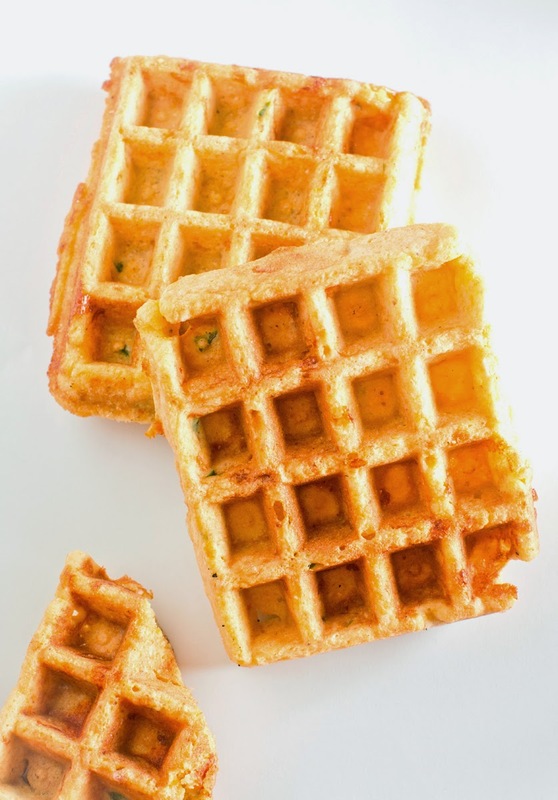 Preheat your waffle maker. In a large bowl, mix together the cornmeal, baking powder, salt, cheddar, and jalapeño. In a medium bowl, melt 1/4 cup of the butter. Add the honey, eggs, and buttermilk to the melted butter and whisk. There are things we think y'all are likely do, so we share them, and then there are the things that maybe no one but us would be crazy enough to try. So, do you have access to a smoker? If you do, you can coax all the flavor you crave out of it. I mean, so many soups, beans, and the like get most of their flavor from smoked ham or bacon. Most of that flavor comes from the smoke. Our solution is to hickory-smoke onions and add them to greens, black-eyed peas, chili, soups, broths, sandwiches -- anything, really. The result is a robust, deep, flavor that you don't usually find in plant-based dishes. It's a simple solution with a ton of mileage. Try the method details in the recipe below or use our Quick Smoking Method that we detail in our book, The Southern Vegetarian: 100 Down-Home Recipes for the Modern Table (Thomas Nelson, 2013). Load the smoke box with hickory chunks and set the smoker to 200 degrees. Peel the onions and cut off the root and top. Place on a foil-lined rack and into the smoker. 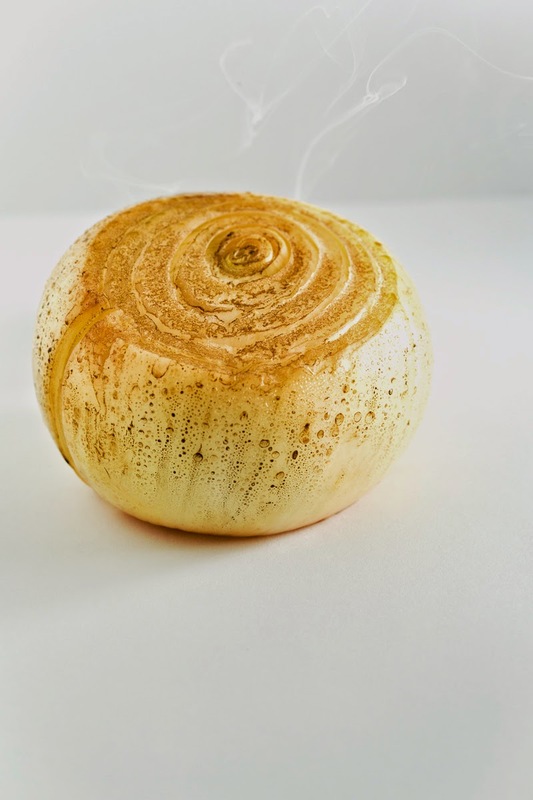 Allow the onions to smoke for 20 minutes. Remove the onions from the smoker and place them in an airtight container in the fridge until ready to use. They will keep for 1 week. Dice and freeze unused portion for a longer shelf-life.